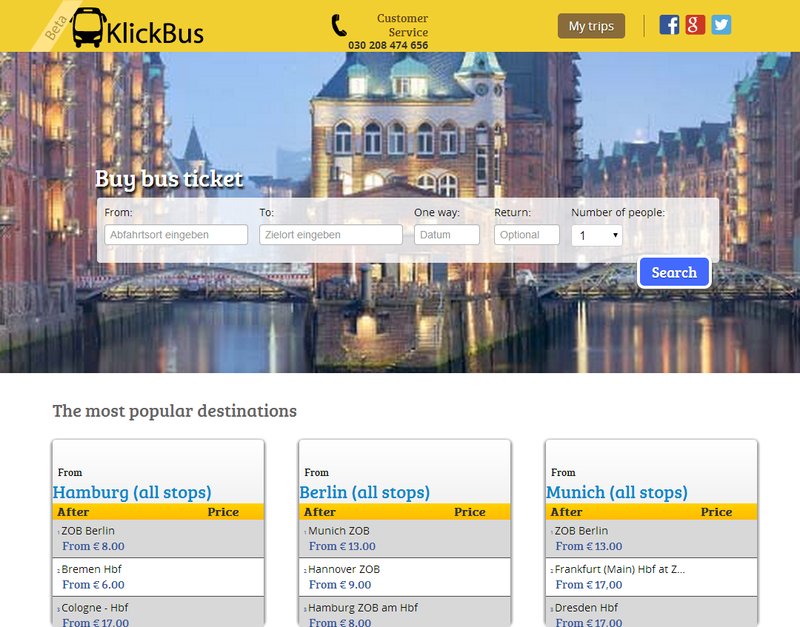 KlickBus, a service for making online bus bookings, has launched in Germany today allowing people to compare fares and book tickets in just a few clicks. The company is a product of the well-known Rocket Internet incubator and in order to attract the widest possible pool of users integrates with existing services like ADAC Postbus, FlixBus and meinfernbus.de. While it’s not the first region for KlickBus, it’s a notable move as the company’s initial launches saw it enter into emerging markets like Brazil and Mexico. With a German launch now under its belt, a company spokesman told TNW that “expansions into further countries and continents will follow shortly”.